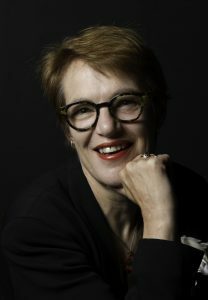 Accomplished literary biographer and art historian Joanne Drayton is about to publish her seventh book, a double biography of celebrity cooks Peter Hudson and David Halls. 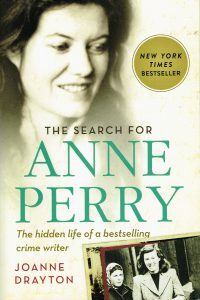 Joanne is best known for her book “The Search for Anne Perry”, a biography of the best-selling crime writer Anne Perry who is also the teenage murderer Juliet Hulme made notorious in Peter Jackson’s 1994 film “Heavenly Creatures”. 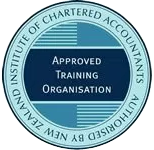 Joanne conducted meticulous research – including interviews with relatives, colleagues, friends and Anne herself. Her book is an extraordinary insight into Anne’s life, the experiences that shaped her and her crime novels. In 2015 the biography reached number three on the New York Times Bestseller List for ‘Crime and Punishment’ and number nine for ‘Nonfiction’. “The Search for Anne Perry” has been optioned for a feature film. 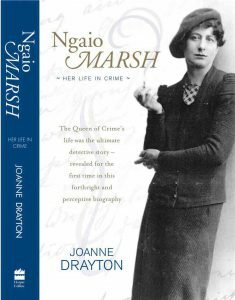 As one of New Zealand’s most acclaimed literary biographers, Joanne has written biographies on Dame Ngaio Marsh, Frances Hodgkins, Rhona Haszard and Edith Collier. She is an award-winning art historian and has curated exhibitions of Hodgkins, Haszard and Collier. Her book “Rhona Haszard: An Experimental Expatriate New Zealand Artist” has a signed film option. In 2017 Joanne was the recipient of the prestigious Logan Nonfiction Fellowship at the Carey Institute for Global Good in New York, where she had the wonderful opportunity of working with a variety of literary experts. During her time at the Carey Institute, Joanne worked on her latest book, the double biography “Hudson and Halls: The Food of Love”. Peter Hudson and David Halls were hugely popular on New Zealand television during the 1970s and 1980s, bringing humour and larger-than-life personalities to the TV cooking genre. Their popularity reigned for sixteen years of successful television, including producing their show in the UK. It came to an end when Peter died of cancer in 1992, and David, reportedly grief-stricken, took his own life the following year. “Hudson and Halls: The Food of Love” is due to be released on 18th October 2018. A self-described over-achiever, Joanne’s passion for writing continues to go from strength to strength. She is in the process of completing her own autobiography, which will hopefully be published in 2019.